THE INDIGENOUS WORLD is located in Imphal Manipur . THE INDIGENOUS WORLD is registered as a Society at Imphal of state Manipur with Ngo unique registration ID 'MN/2013/0058725' . 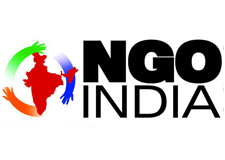 The NGO registration is done by Registrar of Societies with registration number 185 Imphal District of 1987 on the date of 18-07-1987, Its parent ORganaisation is NIL. The Chairman of THE INDIGENOUS WORLD is N Gyendro Singh and Chief functionary officer is Ph Manibabu Sharma. Entrepreneurship Skill Development training programme, Adult Education programme, Handloom and Handicraft Development programme, Youth Development programme, Cultural Promotion programme, Women and Child Welfare programme, Consumer Awareness Programme, Environment Awareness programme, Food processing training programme, HIV, AIDS Awareness programme, Drug and Alcoholic Rehabilitation Programme, Old Aged Welfare programme, Book Promotion programme, Vocational training programme etc.